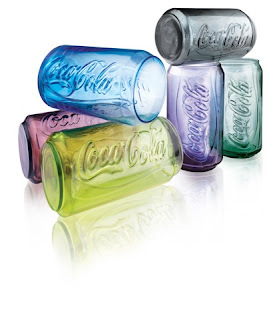 The Coca-Cola Company and McDonald’s Corporation partnered once again to offer consumers in Asia Pacific a series of colored Coca-Cola can glasses. 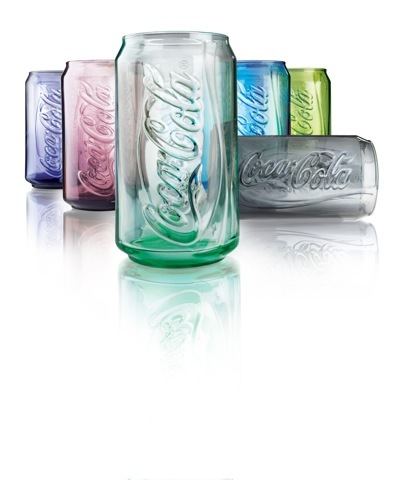 The Coca-Cola can glass is a new creation in the Asia Pacific region and will be available at McDonald’s in thirteen (13) countries only – Singapore, China, Taiwan, Korea, Japan, Hong Kong, Macau, The Philippines, Malaysia, Pakistan, Tahiti, Fiji and New Caledonia. McDonald’s has been collaborating with Coca-Cola since 1955. The fast food chain offers customers for a limited time, the chance to collect these quality Coca-Cola can glasses in six colors – Pink, Green, Blue, Lime, Charcoal and Purple. Consumers can collect the glasses from May to July 2011. This Coca-Cola glass is very unique and classy because the shape is like the softdrink can, with Coca- Cola logo embossed on it. It can be purchased for just PhP25 only with a McDonald’s meal. The Coca-Cola can was first used to distribute Coca-Cola to the U.S. armed forces overseas in the 1950s, and only by 1959 was available to the U.S. consumer. In 1985, Coca-Cola was the first soft drink to be consumed in space in a special Coca-Cola can, aboard Space Shuttle Challenger.